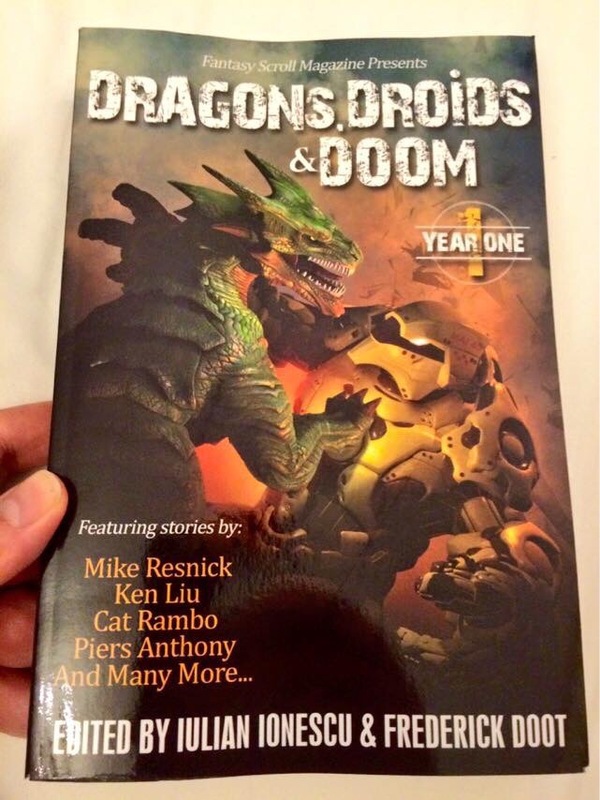 Received in the post today a copy of Dragons, Droids & Doom: Year One, the collected stories from the first year of Fantasy Scroll Magazine, edited by Iulian Ionescu and Frederick Doot. 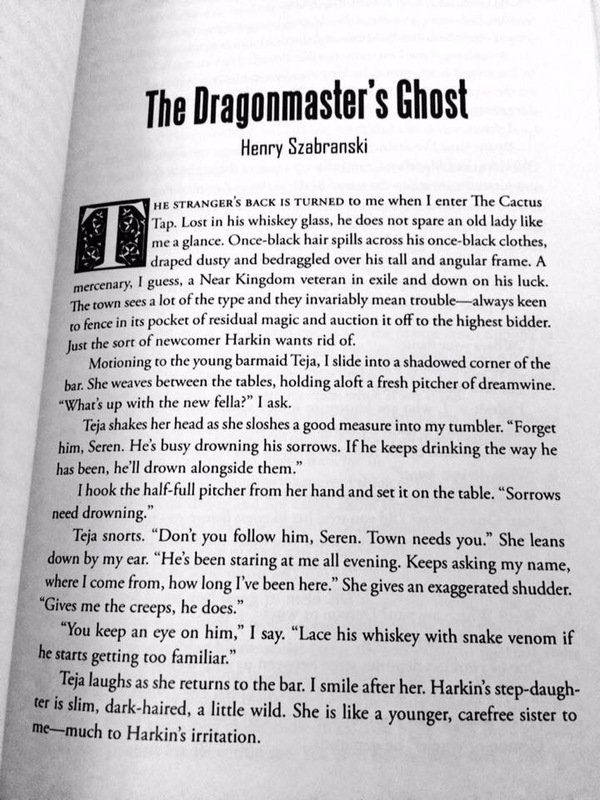 Amongst many other stories by many other authors, it contains my Mevlish story, “The Dragonmaster’s Ghost”, first published in FSM #4. Very happy to see it reprinted in what is a very handsome-looking physical book. Dragons, Droids & Doom: Year One is available as a trade paperback or as an e-book from most of the usual places as well as from its own dedicated website.